Saying Nay to "Better Fathering Index"
Kids : "Daddy , don't scold us, if you do I will report you and you will have a lower score. You may even fail as a Daddy!" Me : "Wah Lao ..."
In case you do not know, this is going to be another world first for Singapore with this highly "acclaim" absurd index purposefully created to see if Singapore daddies are achievers or slackers in their parenting roles. After being alerted of its existence via Daddies and Mommies around Singapore via social media ( read here and here) , I decided to give my own 2 cents worth on this index created by Centre for Fathering. A set of criteria had been muted by its chairman to measure how good a father. They are the amount of time a father spend per day, per week, per month, per year. Activities fathers engage with the children also contribute to the index. There will be a survey at the second half of the year conducted to formulate this index. In context, it looked like a great idea. Finally a father in Singapore can judge if they are real fathers or pseudo fathers in name only... In reality it stank of machoism and an unnecessary waste of resources. As fellow daddies and mummies had eloquently point out, raising a child is a team effort and not a daddy ' Pao Kar Liao' mentality . What is the point of measuring how a daddy performs and ignoring efforts made by Mummies. It only serve to glorify daddies little deals and belittle mummies unwavering contributions to the family nucleus. To make this exercise even more redundant, who are we benchmarking against? We are the only country in the world with this glorified index that serves absolutely no purpose in telling how great ( or not) we daddies are. Some statisticians must have failed their elementary mathematics when dreaming up this index... What exactly do they want to measure or get out of this is anyone's guess. Finally how do you measure something so unquantifiable ? Is the daddy slogging out 3 jobs everyday to make ends meet and provide for the family ( thus limiting time spend with children) a worse daddy than one who have the luxury to stay at home and be a full time daddy? Would the diaper changing daddy be better graded than the one that sends his kids to school everyday? Or would the daddy who hardly discipline and gives in to every whims of the happy but havoc child (thus enhancing his activity quota) be highly regarded than the disciplinary master at home? Is the perfect score daddy that dedicates all time and resources on the children but ignore the wife a better father? We had got rid of naming the top students for PSLE and we decided to focus on benchmarking Daddy instead. What next? Top Grandparent of the year??? Sometimes you wonder as a society we have move forward or perpetually doing the cha cha. One step forward, two steps back. We don't need a Better Fathering Index, or a Better Mothering Index, or a Better Grandparent's Index to gauge a family. Even a Better Child Index, no matter how enticing it sounds is unwelcome. Society has enough indexes or statistics to tell us how we live, how we work, what we achieve. 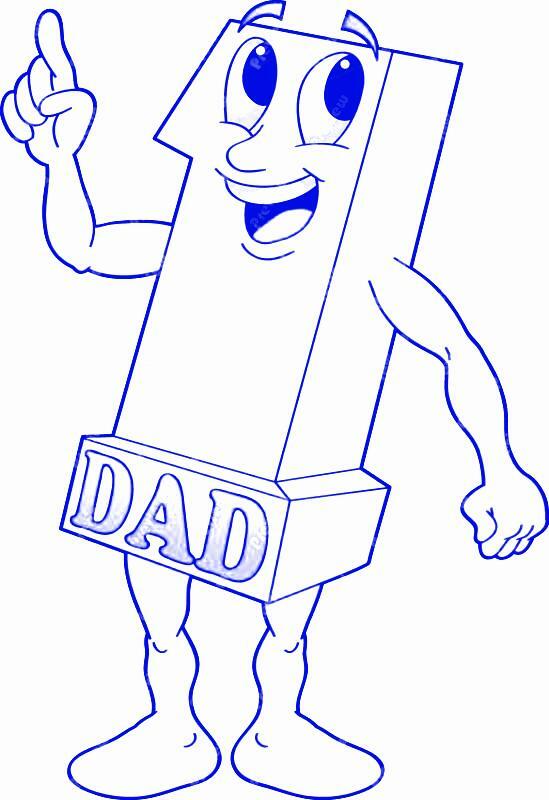 We don't need a number to grade us as a good or bad father. 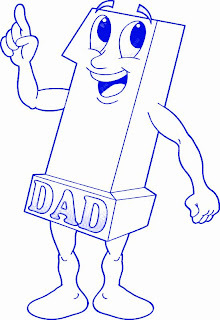 What we need are the love and hugs from our children and the wife, to remind us of why we are fathers and husbands. And if any index sounds interesting try the CPI (Consumer Price Index). The higher it goes, the lower the potential BFI would be. That is because cost of living is higher and Daddies and even Mummies need to spend more time at work to make ends meet. Realities of lives does stifle an ideal lifestyle. My suggestion : Focus the resources on family education or events which would be more rewarding to families than a number that has limited impact and serve zero purpose. 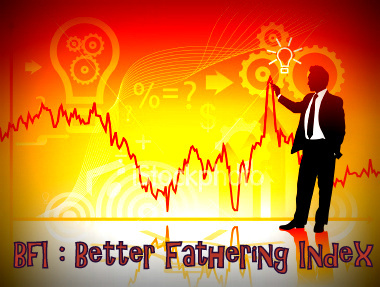 So to the creators of " Better Fathering Index" , it is a Nay from me. I am a father not a number. How about a better government index (BGI)? I don't see the point of a BFI, what matters is how your kids think of you and how well they feel loved. What purpose does this serve? If you are a good dad, you already know it from the smiles of your children that greet you everyday and you would know it! Another waste of tax payer's money on useless statistics.....I say give the money to those dads who would love spend more time with their kids but are unable to do so trying to make ends meet. @ Adrian , my thoughts exactly. An index is just a number. Resources could be better use for other purposes. Sadly it seems as a country we are obsessed about numbers and not feelings. Where is Singapore's soul? It's time for the Daddy based in Bangkok to speak up. We must be heard, this BFI thing really has no point.